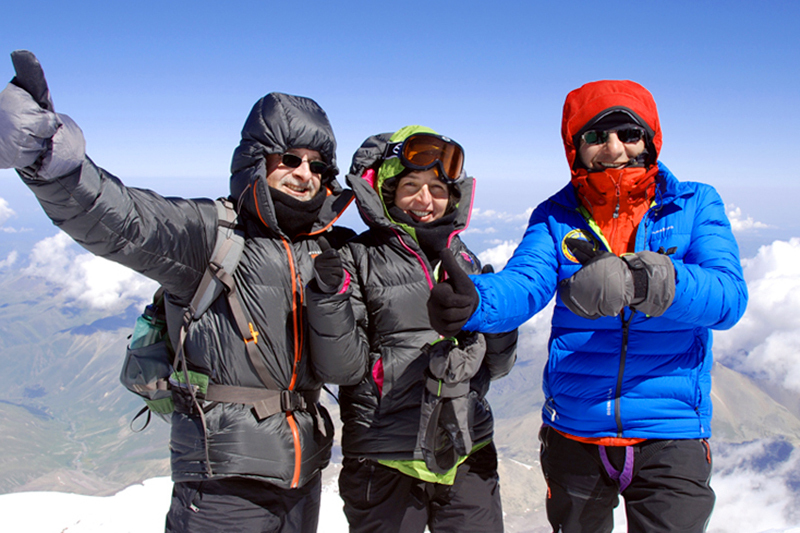 It is possible to get to the Mount Elbrus area from the towns of Mineralnye Vody and Nalchik. To reach these towns, one may take scheduled flights from Moscow, St Petersburg and some other Russian cities. The most convenient and frequent flights are from Moscow to Mineralnye Vody. There are also daily flights from St Petersburg Mineralnye Vody. There are few flights from Istanbul, Saloniki, Dubai, Tel-Aviv. There is train connection from the main Russian cities to Mineralnye Vody or Nalchik. Driving from Mineralnye Vody to the Elbrus area takes about 3-3,5 hours; from Nalchik - about 2,5 hours. Scheduled transport to the Mt Elbrus area. There are no public transport buses from Mineralnye Vody. At the moment only possibility to get to the Elbrus area is to book private transport. There are two scheduled minibuses operating from Nalchik (from the intercity bus station) to Terskol - at 13:00 and 16:00. Price is about 8 Euro per sit. The schedule is not strictly adhered to. The buses may depart when full. A minibus can take 10-12 passengers. There are very small luggage section in those busses and it is not guaranteed that group of 4-5 people will be able to set their travel rucksacks in the busses. If you plan to rent a car/bus at the airport, railway station or bus station due to the arrival (without advanced booking) be careful choosing the driver. Some of them might be criminals. Do not trust the most active drivers. Do not trust if a stranger offers you to drive together and shear the taxi cost (especially if you are a single traveler). We recommend to book private transport with the travel agencies what offers services in the Elbrus area in advance. Price will be about the same like the local drivers offer at the airport/bus stations and there is guarantee that you will be definitely picked up due to your arrival by a professional driver.